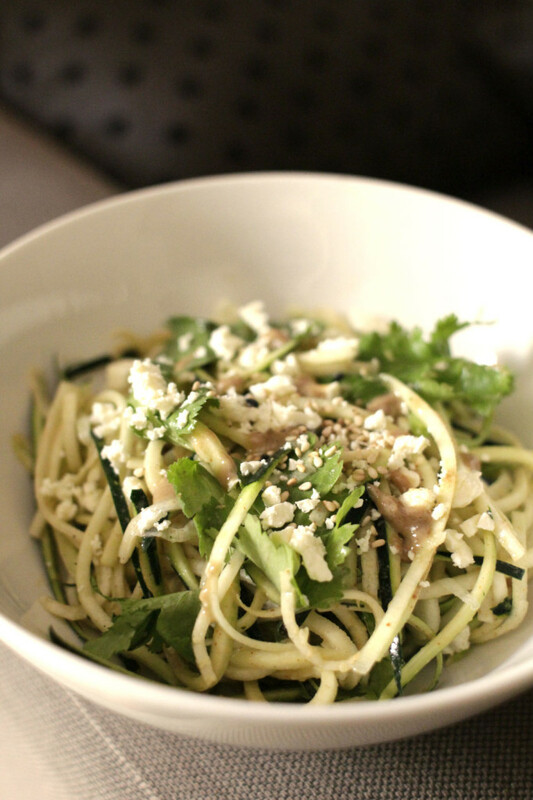 After making noodles using a julienne peeler, you need to allow the liquid to drain because zucchini releases a lot of water. Sprinkle a teaspoon of salt and let it sit for 10 minutes. Drain, squeeze and pat dry the noodles. You can use a cheesecloth or kitchen towel to get rid of excess water. Make a good dressing to go with such as tahini, pesto or tomato. Zucchini can be quite bland by itself. So it is crucial to add a flavoursome dressing, other veggies and crunchy toppings to make the noodles interesting. Using a julienne peeler or mandoline, slice the zucchini into long strands. Place them in a bowl and toss with a teaspoon of salt. Let it sit for 10-15 minutes. Then drain, gently squeeze and get rid of excess water. To make a tahini dressing, mix tahini paste, coconut oil, vinegar, amino sauce, maple syrup and pepper in a small bowl. 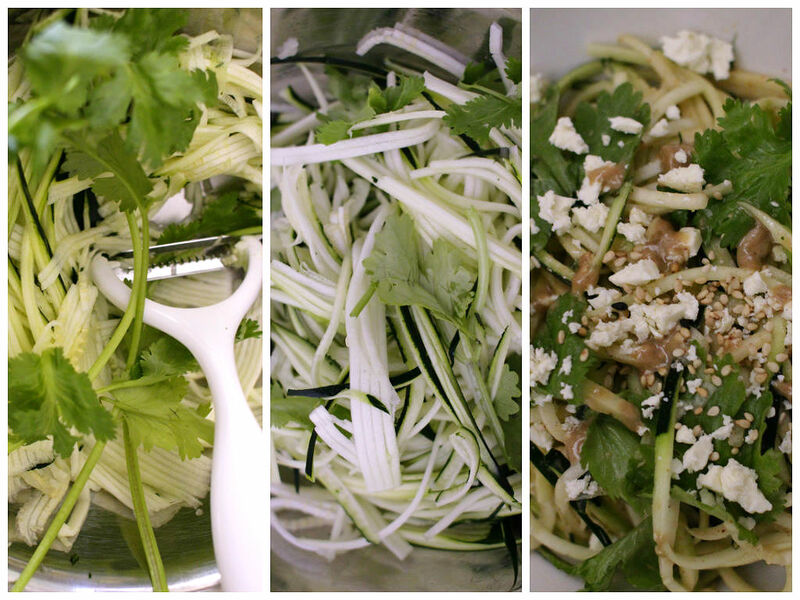 Dress the zucchini noodles and coriander with dressing and transfer to a serving bowl. Top with sesame seeds and crumbled feta cheese.